North Atlantic Books, 9781623173111, 320pp. 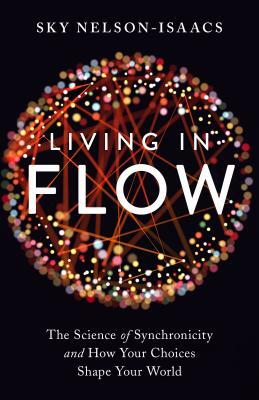 “In Living in Flow. Sky Nelson-Isaacs draws from the deep well of quantum mechanics as well as from numerous personal anecdotes to offer sage and witty advice for living in synchronicity with the universe and one's ideals—a mystic tool kit for life in this scientific age." “The description of the quantum theory underlying Nelson-Isaacs's idea of the mechanism of meaningful history selection is clear, accessible, and a convincing case is made for their relevance to synchronicity.